I am a PhD student in the Faculty of Informatics at the Università della Svizzera italiana (aka. University of Lugano), in Lugano, Switzerland. 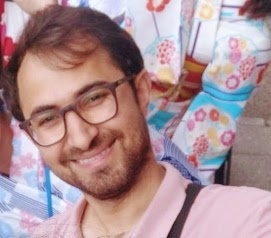 I completed my MSc degree in the Department of Computer Engineering and Information Techonologies at Tehran Polytechnic, Tehran, Iran. My PhD Topic is on combining relevance criteria for mobile information retrieval. My supervisor is Prof. Fabio Crestani. My research interests include Information Retrieval (IR), particularly Mobile IR; Context-aware Recommendation; Natural Language Processing for IR. I have recently been selected as one of the SIGIR Student Liaisons, happily representing the students of Europe and Africa in our community. Please do contact me regarding any issues relevant to students. Read our recent article about the student liaison program on SIGIR Forum here. ISTAS (New!) We have released the source code of the app as well as the data collection we created as part of our CIKM paper, ISTAS: a collection of mobile cross-app search queries. You can find more details on the collection here. UniMobile We have released the data collection we created as part of our SIGIR paper, UniMobile: a collection of mobile cross-app search queries. You can find more details on the collection here. TREC-CS We have released the data collection that we crawled and used for our participations in the TREC Contextual Suggestion track. You can find more details on the data collection and how to gain access to it here. Omicron (New!) We have released the source code of Omicron. We used this app to conduct a user study to understand user behavior in context in our recent publication. Please visit Omicron Github repo for more info. uSearch We have released the source code of uSearch. We used this app to collect in situ cross-app queries in our recent publication. Please visit uSearch Github repo for more info.